L'italia è un paese meraviglioso. Italy is a wonderful country. 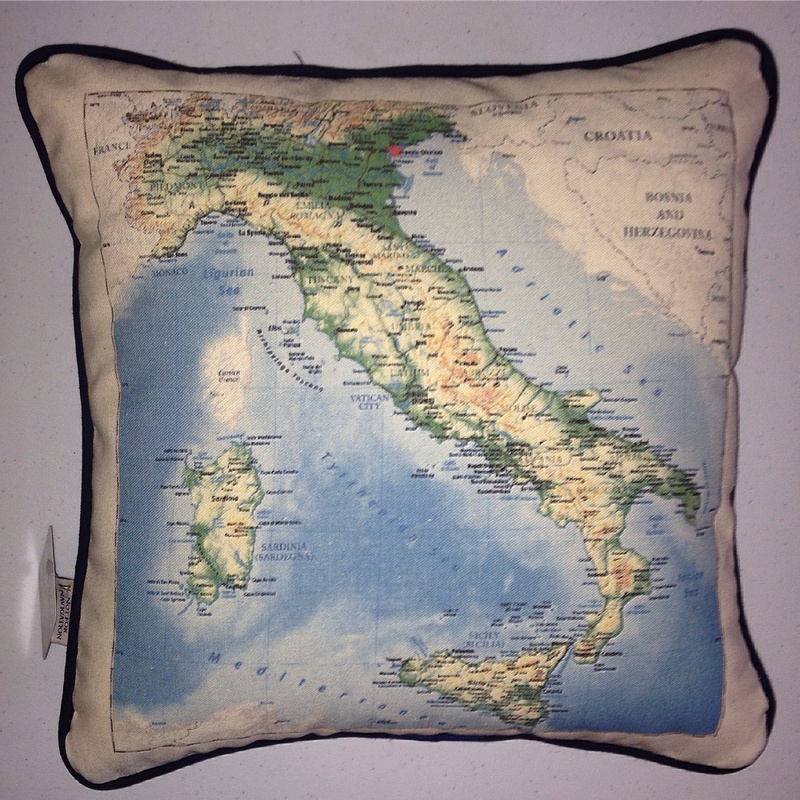 And it looks beautiful on a decorative pillow! A great way to remember a vacation, honeymoon, or home.